Well, that’s not fair. HTC, don’t you know that we love microSD card slots too? 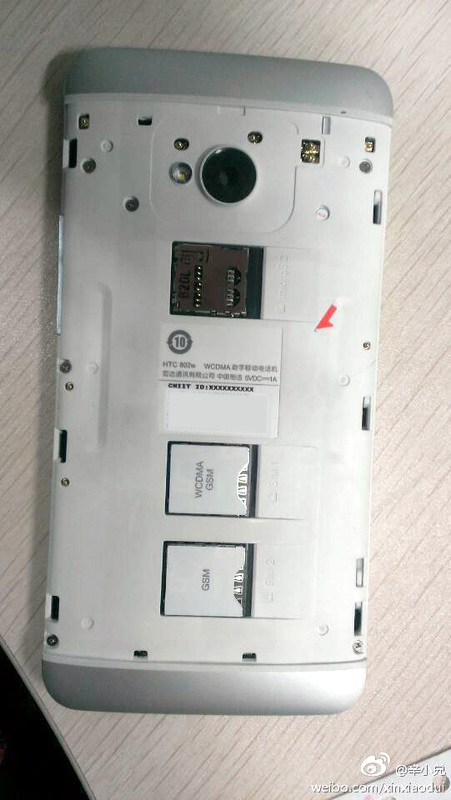 According to an image posted to Weibo, a Chinese forum, the HTC One variant for at least one of China’s wireless carriers will include a removable back plate, dual-SIM slots, and a microSD slot for expandable storage. As you all should know by now, the European (international) and U.S. variants are quite the opposite. Both include a full “zero-gap” unibody aluminum housing, which means there is no removable…anything. They also do not include a microSD card slot and instead offer up internal storage only. While the 32GB and 64GB options should be plenty of storage or most, there are those in this world who can’t live without the ability to hot-swap a card for more. Personally, I’m not sure that I’m a fan of the removable backside. There is something about a unibody design with zero moving parts that intrigues me. Plus, if you are going to allow us to remove a back plate, then you may as well go all the way and give us the option to swap out batteries too. What do you guys think – removable back plate with expandable storage or straight up unibody casing?